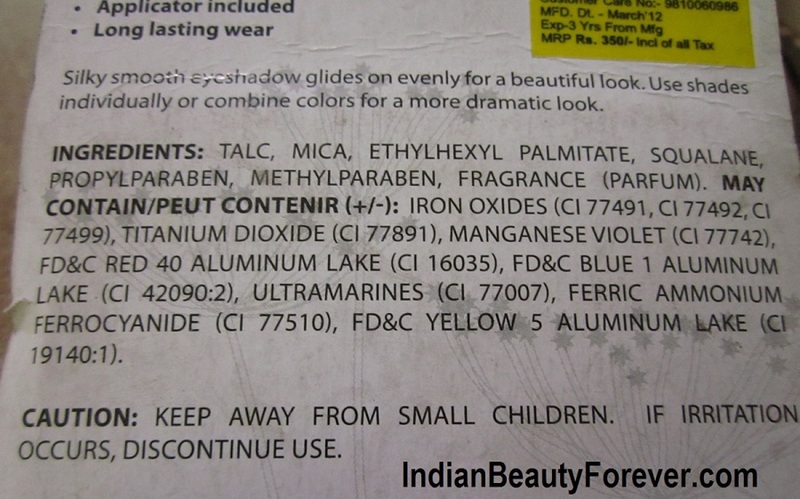 It’s from the brand L.A colors, earlier I saw this brand on Urbantouch.com in India and the prices were reasonable else the stuff that has been imported from U.S have sky high prices at times. If you don't mind paying the shipping then L.A color products are also avalable on cherryculture, beautyjoint etc. This palette is called dreamy which consists of 6 colors and a sponge tip applicator. By the way do you use sponge tip applicator to apply eye shadow on your lids? Well! I don’t. I find these a bit messy; I think a flat shader brush works better for me. 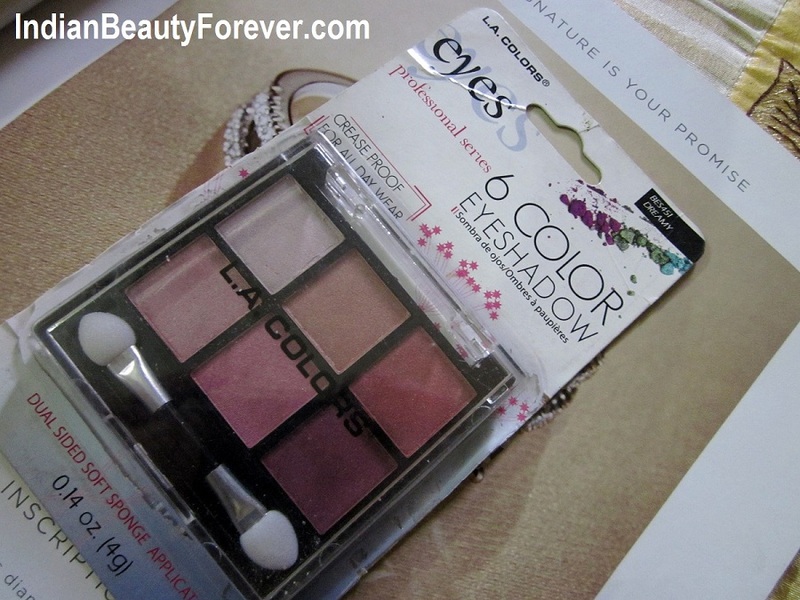 These eye shadows are very soft and very very easy blendable, which I would say is their best part. All the shadows are shimmery but still can be used during the day time as the colors are subtle and not really harsh. You can use this to create so many wearable looks and those of you who like lighter shades and nothing overly colorful then, it is for you. Pigmentation is decent but when you use them over eye shadow primers the pigmentation increased drastically as they are very soft in texture like I said so when they are given a sticky base then they shows off an intense rich looking color. Just like the pigmentation, staying power is decent as well and can be enhanced with primers. 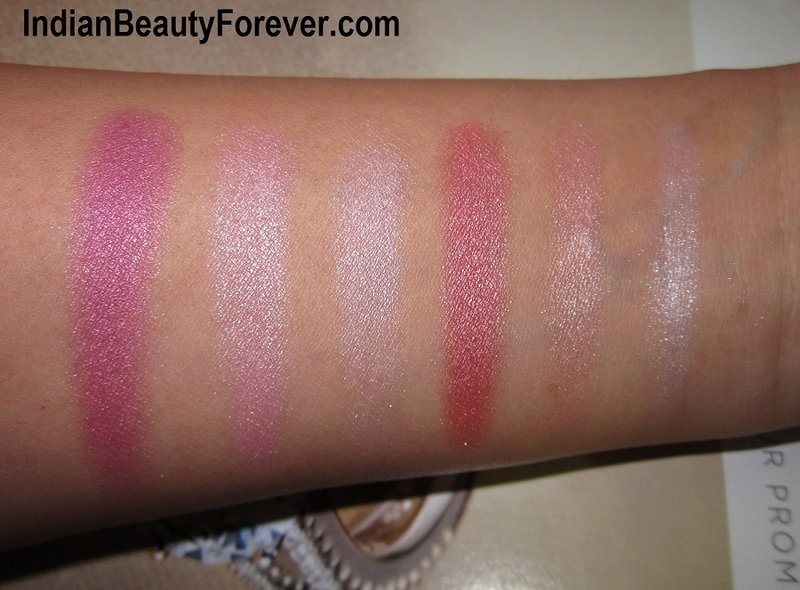 Have a look at the swatch below with and without flash. Comes with a sponge tip applicator if you need something to apply these with. Packaging looks great and is very compact that can be carried in small bags as well. My take- Great palette with subtle wearable decently pigmented colors suitable for day time and daily wear even to office. 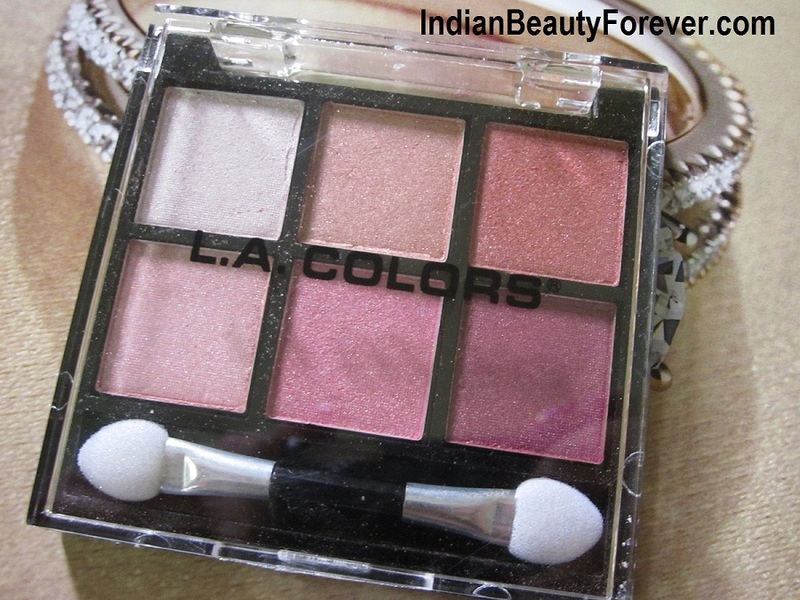 If love eye makeup and need a palette with beautiful pearly colors like these, then definitely go for it!! lovely shades niesha...i saw here it for 1 pound !! You are right Nats. :) these imported stuffs are very highly priced. even four times than the actual price. Lovely shades Niesha. nice review. 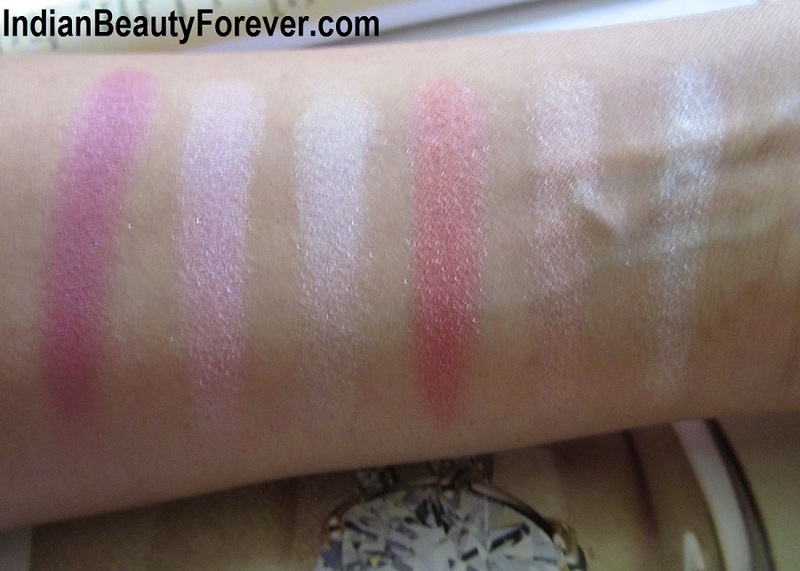 The 3 shade and all the pinks are gorgeous.. it is such a lovely palette.!! So beautiful shades Niesha,but where's the eotd Miss Beautiful Eyes ? I really like the shades, I'm a huge fan of pinks, peaches and cranberries, so beautiful on everyone! I'm so glad you don't turn away when you see more cheap products because this is a gem! The colours are so pretty! I'm sure you'll do a fantastic EOTD with these. All the shades r gorgeous Nieshu! looks amazing!i love these colours!!! Nice palette. And I have to agree - shades are wearable! :) Great review! 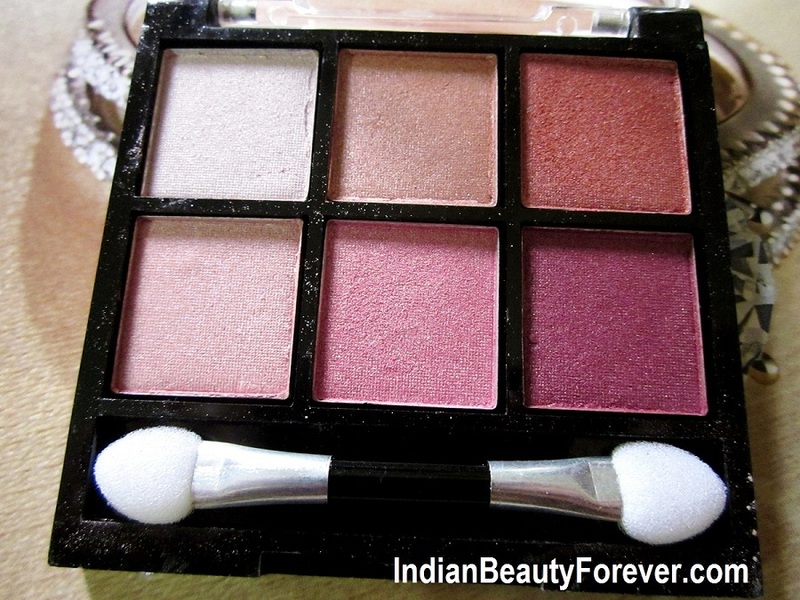 The colors are so pretty, somehow such pinks remind of blushes ...esp the 3rd, 5th and the 6th shades :) I have a trio neutral palette from LA Colors, my bhabhi got for me from abroad. I agree these are very soft to touch. I Love The Shades!! Where Did You Buy This From? I got it from yebhi.com but I think they don't have these now. :D i liked the dark plummy pink the most! My god! this looks so lovely. We get this palette here in our dollar store for just $1, was always very adamant to buy it...Vl definitely chek it out now! You are right Rachna!! They are value for money!